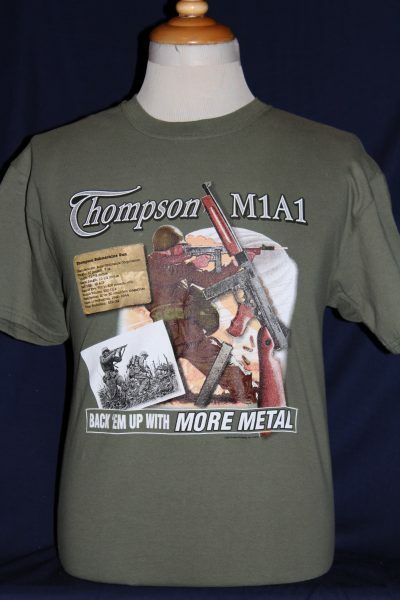 The M1A1 Thompson Submachine Gun T-shirt is a single sided print in Green. 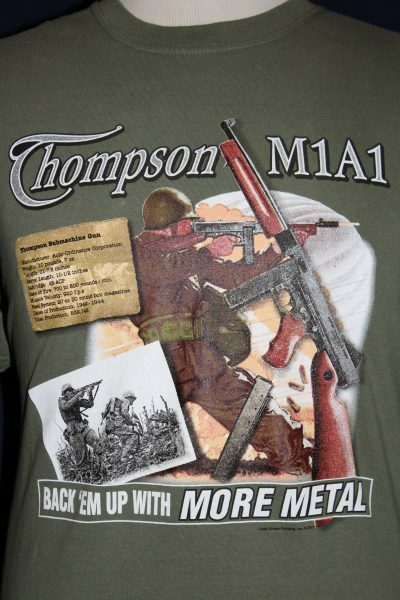 Front Design Only: WWII Marines on Pacific Island with M1A1 Thompson in multiple colors. The Auto- Ordinance Corp. information plate is screened in brown and black.